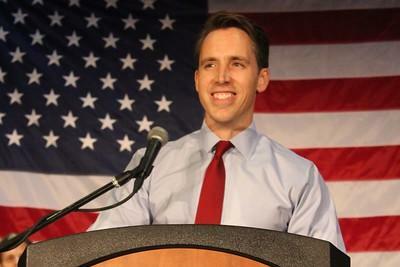 A judge has rejected a Democratic candidate's effort to question U.S. Sen. Josh Hawley over his handling of public records while he was Missouri attorney general. Attorney Elad Gross, a candidate for Missouri attorney general, is suing Gov. Mike Parson'sadministration for all communication between the governor's office and a nonprofit that supported former Gov. Eric Greitens. He requested a subpoena so he could question Hawley because he enforced the state's open records laws while he was attorney general. The Kansas City Star reports Cole County Circuit Judge Patricia Joyce quashed the subpoena Tuesday, saying she found no evidence that Hawley has non-privileged information relevant to the case. Hawley's spokeswoman, Kelli Ford, called the subpoena request "the latest political stunt" by a Democrat seeking publicity by attacking Hawley.